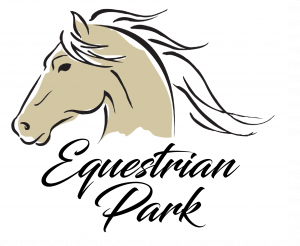 Equestrian Park is a high-end land development for homeowners who are passionate about the equestrian lifestyle. To upgrade an existing design that was literally etched in stone to give the subdivision the elegance it promises its buyers. With a very limited and discerning target market, this design had to resonate with wealthy horse owners. This land development project was underway and a logo had already been carved into the concrete entry columns. We needed to update the look but keep some elements of the original design. This illustration was the answer to provide a dynamic design with movement and strength. We wanted to delight the equestrian lovers with an anatomically correct illustration giving movement and classic lines to the simple, yet elegant, design. Soft colors and an inviting font treatment make this logo perfect to take this land development to the next level. Creating a design that makes you feel the wind in your hair.